At a time when the task involved to buy flats in Calicut is getting more difficult, PVS Nakshatra offers you 56 flats of different specifications to choose from, that has been built keeping in mind the expectations one will have from his/her dream home. Of the luxury apartments in Calicut, Nakshatra is sure to shine like a bright star in your life with the premium 2 & 3 bedroom flats built using the most advanced and sophisticated engineering techniques combined with the marvels of contemporary architecture. Speaking of the amenities, these ready to occupy apartments in Calicut is endowed with world-class facilities such as swimming pool, health club, and similar features to lead a healthy life and make one proud of one's living. We know that you and your family deserve nothing less than the best. 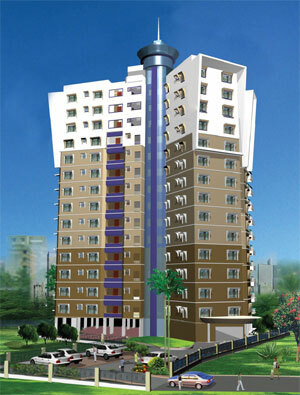 The location of Nakshatra, our stylish apartments for sale in Calicut, serves as the main attraction. Since it offers you high connectivity to the major shopping centres in the city, hospitals, reputed educational institutes, centres of entertainment, etc., choosing us can place you in the most advantageous position like no other. And no other builder can beat the breathtaking picturesque surrounding that our high-rise building can provide. Give your family the luxury of space and comfortable living in a surrounding that is the most conducive to leading a hassle-free, fulfilling life. So join the PVS family, the most trusted builders in Calicut, to spend your precious life in your dream home. The aesthetic design features, elegant styling, well laid interior spaces and recreational outdoors enable you to experience the ultimate in luxury.